sbr.exe is part of Avast Antivirus, one of the most popular antivirus software. Avast Antivirus is developed by AVAST software, which is one of the largest security companies in the world located in Prague, Czech Republic. 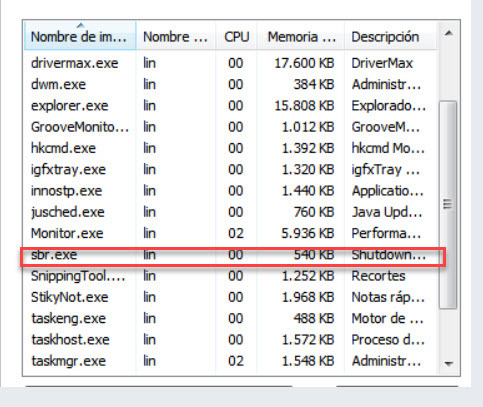 sbr.exe known as shutdown blocker, this process will automatically when Avast Antivirus updating. File is located in the ” c:\users\%USERNAME%\appdata\local\temp\_av_iup.tm~a02620\new_12050926\”. It will show warning message when you trying to shut down the computer during updating, ensuring your Avast installation finishes properly. When shutdown has been triggered, sbr.exe will try to stop the “shutdown.exe”. If the updating process has been interrupt by computer reboot, Avast Antivirus may corrupt and need to reinstall to work properly. sbr.exe is also part of Sbr Poker, a online poker game. sbr.exe is client of SBR game server.